Peter Ulander, Chief Marketing Officer at Cloud.com spent some time answering my questions on the domain and the business. Peder: Cloud.com builds an open source software product designed for enterprises and service providers that are interested in launching either public or private cloud environments. We were founded in 2008 and, up until May 2010, had been operating in a pseudo stealth mode as we were getting ready to bring our product to market. Up until May, we were known as VMOps and had a small associated site with some generic content on it. Peder: It has had a significant impact on the growth of the business as we came out of stealth mode. For one, having a top level domain brings instant traffic, awareness and, in many cases, credibility in a market place. We quickly went from unknown to a top of mind provider in the cloud computing space. Additionally, as we launched the company, the excitement around the space coupled with the strength of the domain led to a significant amount of coverage in the press, which we never could have expected as a small company just launching a product. Mike: Cloud computing is certainly the buzz right now. What can you tell us about it and the future of the cloud concept? Peder: Cloud computing, while all the rage, isn’t necessarily new. Companies like Salesforce.com, Google, and Amazon have all had a significant part in creating this market over the past decade. Today there are many ways to tap the net for applications, platforms and services on a pay as you go, pay per use model that delivers better economics, scale and flexibility to businesses. This concept of computing is what is referred to as cloud computing. As networks have grown more powerful and technology continues to innovate, more and more workloads and services will be pushed to the cloud and this model will become a way that many companies manage their IT resources. The end benefit for companies that leverage this model are increased business agility, better IT economics (of scale) and spend strategically on growth vs. sunk infrastructure costs. Peder: While I can’t share the specific volume, we are pleased with the increase in traffic since launching under the cloud.com domain. Our core traffic increased by more that 500% and, when compared to similar companies in our space, we are outperforming them on inbound traffic and time spent on site – meaning that we are hitting the decision makers in our space. Peder: As with any smart technology company, we are aggressively looking at ways to use AdWords, SEO, SEM, etc. to strengthen our position online. We have an advantage with a very relevant top level domain from an SEO perspective and we add to that with other integrated campaigns. Mike: Did you have another domain for your site before Cloud.com? Mike: Did you purchase the name from someone else that owned it? If so, what was the process you went through? Peder: Cloud.com was originally purchased/registered back in the late 90’s – long before cloud computing became a recognized term. The gentleman that owned it knew that it would be an important domain at some point and held on to it for more than a decade before we came along. When I joined VMOps, being the lazy marketing guy, I decided that we needed to change our brand to be more reflective of the industry we are in and the technologies we deliver. After a period of time searching various cloud terms, I chanced upon cloud.com and was presented with an apache error. Upon further digging, I learned that the domain was not registered to a business and was not an active site. From there the process was simple. I researched through various means to get to the owner (whois, google, etc.) and learned that we had mutual business contacts. Rather than using a broker, we reached out directly to the owner and gave them the pitch on our company, vision, strategy and use of the domain. 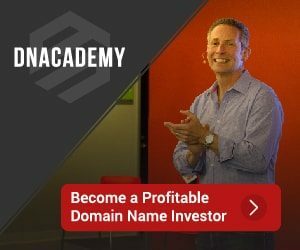 He had been presented with many offers to make it a sub-domain, but we were the first to come in and present a reasonable offer with a long term company strategy behind it. From there it was merely a transaction and transfer with the registrar. Peder: Naming is a subjective exercise, but my believe is to keep it descriptive and simple. Many try to go the way of implementing foreign terms or obscure names to represent their company (i.e. Vyatta means open in Sanskrit) but most businesses don’t have the money to invest to create brands like “Apple” and will spend too much money creating awareness and affinity. Getting the right domain name is as critical as naming the company. Picking the right one can mean instant recognition into what you do and where you are relevant. Granted we were very lucky with cloud.com, but there are still many opportunities to pull of the same impact with a smart name. Peder: Cloud.com, in our case, is both a domain, a brand and a company so any willingness to sell the domain is probably a different type of engagement. Up until we launched we fielded a number of significant offers to purchase the domain, but in the end the strength of the name as a brand, a destination and a marketing tool far outweighed any monetary value we could have extracted from the domain. @ domo sapiens – Absolutely!